in terms of I can, I will and I am. 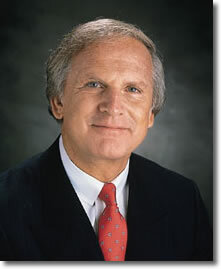 Denis Waitley is one of the most respected keynote lecturers and productivity consultants in the world. He has helped millions of individuals become winners. A former Naval Aviator, Mr. Waitley graduated from the US Naval Academy at Annapolis. Voted “Platform Speaker of the Year” by the Sales & Marketing Executives’ Association and inducted into the International Speakers’ Hall of Fame, Denis Waitley is a sought-after speaker and trainer. He has studied and counseled leaders in every field from “Fortune 500” top executives to managers of multinational corporations, from NASA astronauts to Superbowl and Olympic champions, from heads of government to family and youth groups. With over 10 million audio programs sold in 14 languages, Denis Waitley is the most-listened-to-voice on personal and career achievement. He is the author of 14 books including global best-seller: Seeds of Greatness. His audio album The Psychology of Winning is the all-time best selling program on self-mastery. Mr. Waitley is the former Chairman of Psychology on the U.S. Olympic Committee’s Sports Medicine Council, responsible for performance enhancement of all American Olympic athletes.